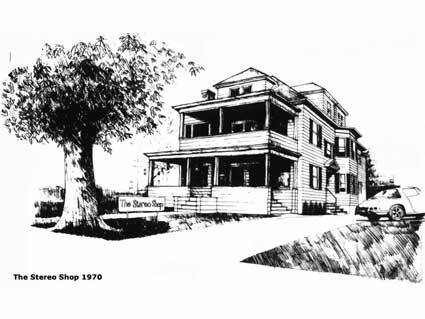 The Stereo Shop was founded in 1959, built on a fascination with the limitless potential of a new and exciting technology: stereo sound. While most hi-fi retailers were content selling single channel systems (mono), The Stereo Shop were so enticed by the vast improvement in two channel systems that they envisioned this development in audio becoming increasingly popular, as it provided a higher quality listening experience. Wanting to capture this quality sound with the best equipment possible, The Stereo Shop sold equipment only from leading manufacturers, including McIntosh, Fisher, Scott, KLH, and Bozak. Throughout all of these years we have attained a vast knowledge of stereo equipment, and with this knowledge have chosen technology again and again on ascending trend. Although there have been times when others claimed we had lost our way, time has proven our products superior, and has further built our reputation as a leader in our field. Not satisfied with simply providing the best product however, since 1959, The Stereo Shop has paired its tremendous stock with skill in the art of custom home installation. Beginning decades ago with the manufacturing of custom speaker cabinets and in-wall speakers, The Stereo shop is now a leader in the field of home installation, providing complete home automation, custom touch panels and programming, smart remotes, and excelling design of everything from home theaters to dream stereo systems. 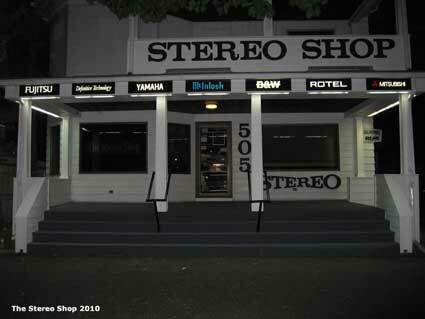 What was true in 1959 is still true today; The Stereo Shop is always known for providing only the best.